The pick of the overseas players that Gujarat Lions have signed for this season is undoubtedly Jason Roy. My model has him as the 5th ranked batsman in global T20 cricket with a rating of 1.26, which is outstanding. 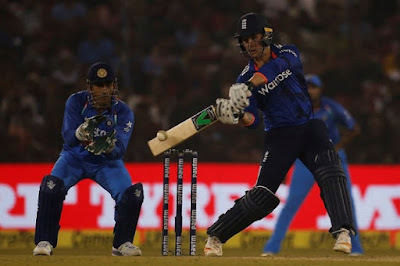 A strike rate of 146.0 as an opening batsman is excellent and, as I have written about previously, he is also one of the fastest starting opening batsmen in T20 cricket. Another interesting aspect of Roy's game is that while he is a decent six hitter, he is one of the best players at hitting fours - his average of a four every 6.14 balls faced is almost unparalleled. The only potential concern may be his ability against spin bowling, where his strike rate is 136.6 and he is dismissed every 17.1 balls faced against spinners, compared to every 23.3 balls against non-spin, but he is undoubtedly going to be a key player for the Gujarat Lions in 2017. The potential of Jason Roy alongside Aaron Finch and Brendon McCullum makes for an incredibly exciting top order for the Gujarat Lions. 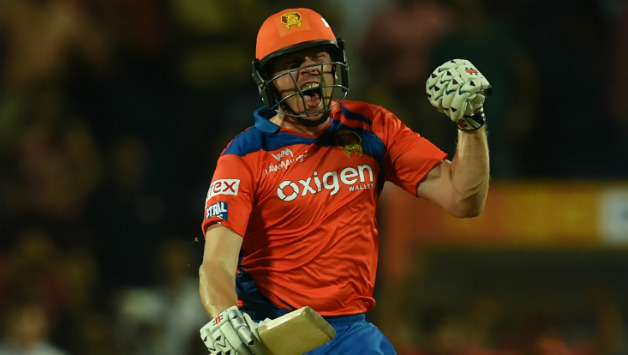 Finch (1.18 rating) and McCullum (1.17 rating) are both top class batsmen in their own right. In addition, they are both also among the fastest starting opening batsmen in T20 cricket, which raises the possibility of some huge powerplay scores for Gujarat if they all click on any given day. They also have Dwayne Smith as a potential option to open the batting, but with a batting rating of 1.01, it is tough to make an argument for him over the other three. Whilst he does also provide an option with the ball, a bowling rating of 0.87 suggests that it is probably not a particularly good option. The hugely experienced duo of James Faulkner and Dwayne Bravo provide all-rounder options among the overseas players. Faulkner has a bowling rating of 0.99, but is an above average death bowler, which does provide options. In terms of his batting, a rating of 0.83 is not particularly impressive, he has a fairly low strike rate and does not hit too many boundaries, but he does face very few dot balls, which can be useful with bigger hitters around him. Dwayne Bravo is virtually the most experienced T20 cricketer in the game, but a batting rating of 0.83 and a bowling rating of 0.91 does not really back up the fact that he is an overly useful player. They also have the option of Andrew Tye, an Australian bowler that tends to bowl at the death on a regular basis. However, a death bowling rating of 0.84 suggests that he is not as good as people think that he is and it is tough to really make any argument for him in this team. With a batting rating of 1.09, Suresh Raina provides another high quality batting option for Gujarat Lions. He has a reasonable strike rate, but he is very effective at not losing his wicket and is pretty adept at rotating the strike. As a foil to the big hitting overseas trio of Roy, Finch and McCullum, it gives Gujarat as good a top four as any team in the tournament. In Dinesh Karthik, Gujarat have a wicket-keeper that is solid as a batsman as well. While his batting rating of 0.99 puts him almost perfectly at the global average, there are far worse options when it comes to keeping and, as an Indian player, it does not count toward their overseas quota. 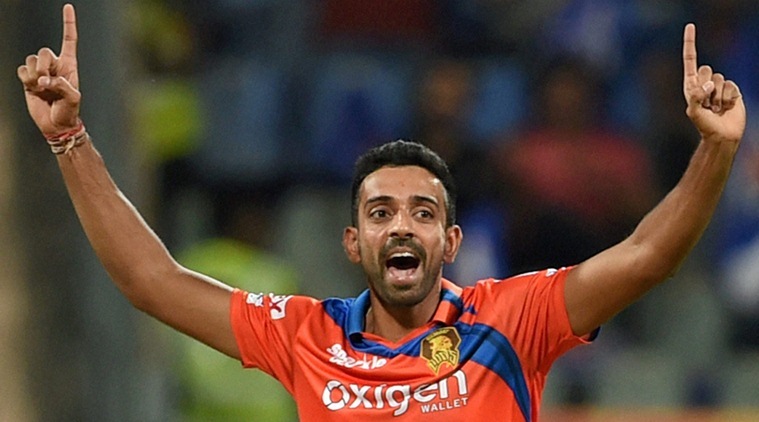 However, bowling options are where there could be problems for the Gujarat Lions. Praveen Kumar is quite simply not good enough with a bowling rating of just 0.88. His economy rate is not too bad, but he just does not take wickets. My data shows him with 69 wickets compared to an expected 104.8 wickets, which is just not good enough. Shadab Jakati is another bowling option, but again, with a rating of just 0.90, he is not a bowler that is likely to be a major positive for Gujarat. Whilst Ravindra Jadeja has proven himself to be a very decent test bowler, my model still feels that he has plenty to prove in the shortest format. A bowling rating of 0.93 suggests that he has some issues in T20 cricket and if you look at the batsmen that have thrived against him, the big hitters have tended to have a lot of joy with the likes of AB de Villiers (179 SR), David Miller (191 SR), Kieron Pollard (222 SR) and Andre Russell (250 SR) all being able to score rapidly against him. Munaf Patel is a better option with a bowling rating of 1.02. He is particularly strong in the powerplay and the middle overs, but his death bowling rating of 0.81 suggests that, if he is selected, Gujarat would be best off using his overs earlier in the innings, rather than using him at the end. The best bowler in this squad would appear to be Dhawal Kulkarni with a bowling rating of 1.04. He has shown in the past that he is an excellent bowler in the powerplay overs, particularly with regard to taking wickets, and with the limited bowling options, he may be relied on to get early wickets if Gujarat are not to find themselves chasing some big targets. Based on this, Gujarat Lions will be hoping that one of their younger Indian bowlers can stand out and make a name for themselves, but Shivil Kaushik (0.81 rating) does not appear to be a likely candidate. The other two options could be Nathu Singh or Basil Thampi, but I have no data on them, so it is impossible to know whether they might be what Gujarat could need. Gujarat have invested heavily on the batting side and they will relying on the batsmen to score enough runs to make up for the weaknesses with the ball. Roy, Finch and McCullum have the potential to form a devastating top order, but given the lack of bowling options, it may be that they can only afford to play two of those and need both Faulkner and Bravo to cover as bowling options. However, with Suresh Raina and Dinesh Karthik, they do have some decent batting to cover the loss of one of the star openers. The other area that will be interesting is that, outside of the top order, there does not appear to be a great deal of power hitting. Neither Bravo or Faulkner are particularly big hitters of the ball and none of the bowlers are particularly reknowned as lower order hitters. It may well be that they rely on the top order to get them off to a rapid start, but slow down as the innings progresses. This post was spot on with Gujarat needing Dhawal in his cricket match. Roy, Finch and McCullum have been overrated lately in my opinion.